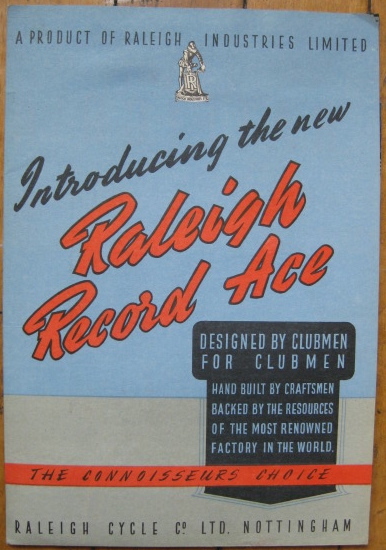 We recently acquired a Raleigh Record Ace, Post War, that will soon be for sale. 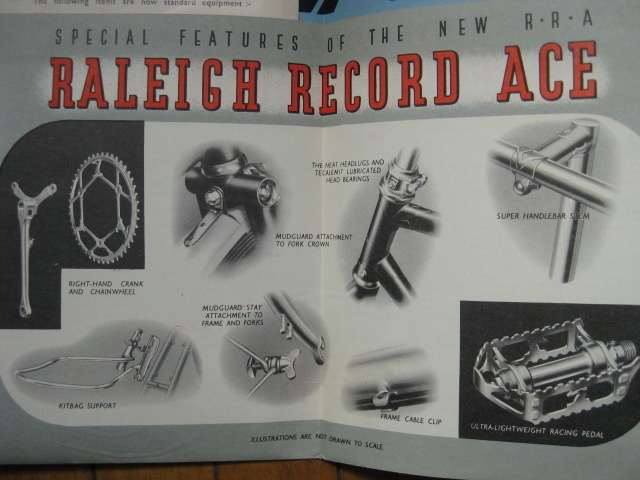 Looking through some recent catalogs, I found this brochure for the retooled RRA. Pretty cool. 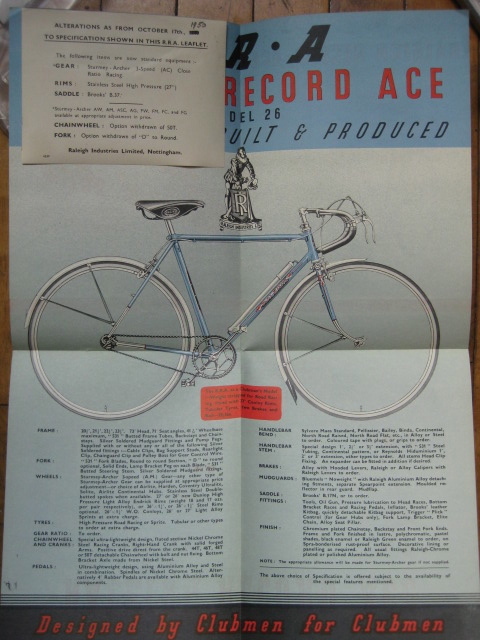 The bike was available with endless options, the closest to building a custom bike I have seen from a large bicycle manufacturer. Amazing features. I am looking for one of those bag supports for our PreWar RRA. I had never noticed the braze on brake cable clips before until we got this bike. those cable clips are incredible. More thimble fork crowns, custom framebuilders!